Shaldor's leadership is passionate about helping our clients and our consultants realize their full potential and reach achievements beyond their own expectations. Sami Friedrich has guided Shaldor's development from its founding. With over 30 years of experience in strategic management consulting, Sami is a recognized expert in corporate and business strategy. He pioneered the concept of Operative Strategy and developed frameworks and tools for its application. Over the years, Sami has devoted a significant part of his time to public service, as a board member of major non-profit institutions and think-tanks, and through his leadership role in a number of national task forces. Sami holds a B.Sc. in mathematics and physics from Hebrew University and an M.B.A. from Harvard Business School. 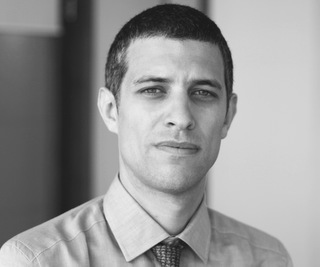 Omer Teper has over 15 years of strategic management consulting experience in both the private and public sector. Omer has been involved in a wide range of business-competitive strategy, corporate strategy and business development initiatives in a wide variety of industries, including: telecom, high-tech, transport and logistics, defense/security, pharmaceuticals, media and consumer goods. In addition, Omer has been intimately involved in the design of major public policy reforms. He has extensive experience in designing work-processes and organizational structures that enable local and global companies to build new capabilities and business models. Omer holds a B.A. in economics, a B.Sc. in mathematics and an M.B.A. from Tel Aviv University. For 10 years, Yakir Lazarov has advised clients in a range of industries, including software and IT, medical devices and services, banking and financial services, natural resources E&P and consumer goods. His areas of expertise include corporate strategy, business strategies and business development, operational alignments in both local and global environments and change-management. Yakir holds a B.A. in business management and social science from Tel Aviv University and an Executive M.B.A. from the Kellogg-Recanati International Executive MBA Program at Tel Aviv University. Over the past 15 years, Anat Brodsky has been involved in a broad variety of projects with global companies in the hi-tech, pharmaceuticals and consumer goods industries, as well as the public sector and non-profit organizations. Anat has broad experience in the areas of corporate strategy, global and regional business strategies, the design of organizational structures and systems and operational efficiency optimization. Anat holds a B.A. in accounting, an L.L.B. in law, and an M.A. in history and philosophy from Tel Aviv University. For 10 years, Jonathan Friedrich has conducted a large number of projects with local and global companies in various industries, including infrastructure, high-tech and telecom, healthcare, energy, media and the social sector. His areas of expertise include corporate strategy, growth and business development. Jonathan holds a B.A. in mathematics and philosophy and an M.A in philosophy from Hebrew University.